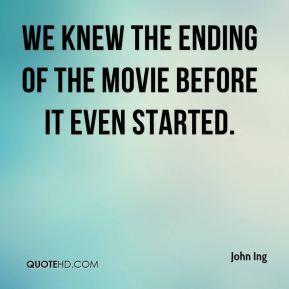 We knew the ending of the movie before it even started. 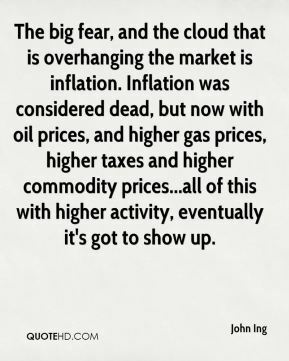 The big fear, and the cloud that is overhanging the market is inflation. 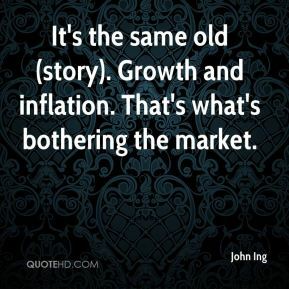 Inflation was considered dead, but now with oil prices, and higher gas prices, higher taxes and higher commodity prices...all of this with higher activity, eventually it's got to show up. It's the same old (story). Growth and inflation. That's what's bothering the market. 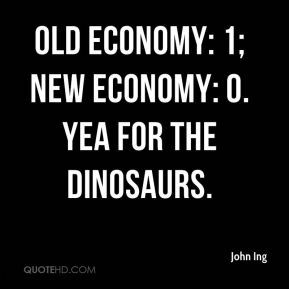 Old economy: 1; new economy: 0. Yea for the dinosaurs. 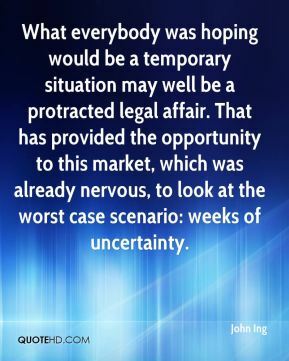 What everybody was hoping would be a temporary situation may well be a protracted legal affair. That has provided the opportunity to this market, which was already nervous, to look at the worst case scenario: weeks of uncertainty. 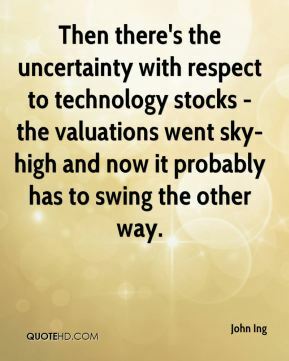 Then there's the uncertainty with respect to technology stocks - the valuations went sky-high and now it probably has to swing the other way. 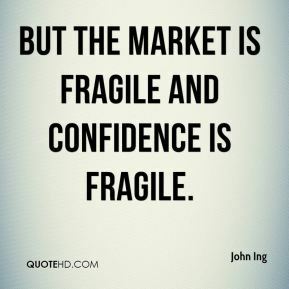 But the market is fragile and confidence is fragile. This is the proverbial bounce, and it's encouraging that it bounced when it did, but is this the turn? 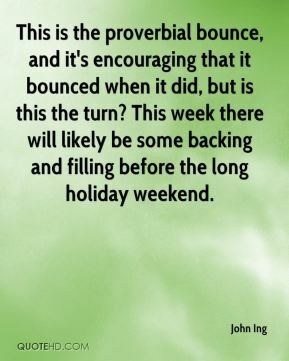 This week there will likely be some backing and filling before the long holiday weekend. 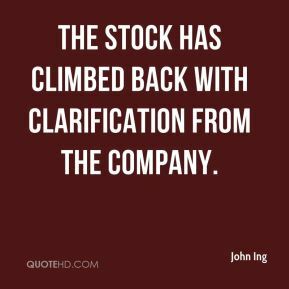 The stock has climbed back with clarification from the company.